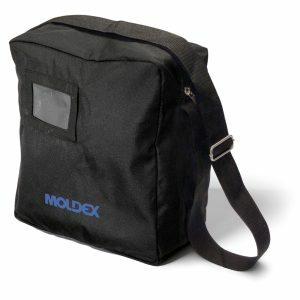 Canvas bag for the Moldex half and full face masks. We have concentrated on the functionality of the product: a lightweight bag, easy to handle and easy to clean. Eliminating the superfluous, all you have left is the handiness of the product and the convenience of its price. thanks to the self-adherent strips all around the front border. There are also two side pockets with zipper. The Emergency stands out for the global character of its range: it is available in fact in different languages. As a Pro, you know what you need. 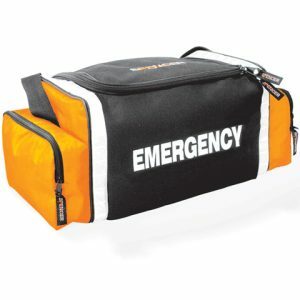 ROLL with your own supplies for a quick response to any medical emergency! 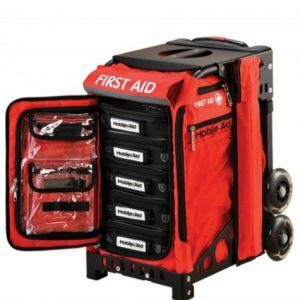 This Easy-Roll First Aid Cart has organizer pouches you load with just the right supplies for your skills and the medical emergencies you may experience. The mobile medical cart includes an integrated gear and seating platform, 5 Quick-Access utility pouches with customizable handle IDs and clear vinyl lids for easy supply identification, an 8-foot extendable first aid flag set, flashing wheels, Hi-Vis safety stripe, and flexible evacuation stretcher. Medical supplies NOT included.